Product prices and availability are accurate as of 2019-04-18 21:46:07 UTC and are subject to change. Any price and availability information displayed on http://www.amazon.com/ at the time of purchase will apply to the purchase of this product. The Revel Ambrose Collection features an intricate metal leaf design that gives the lamp a traditional and elegant feel. The lamp also features a unique bronze iridescent shade that gives the lamp a more modern color pallet and enhances the overall elegance of the lamp. The lamp accommodates (1) 150W incandescent bulb (not included), and unlike many of our competitors, the lamp is UL listed for your safety. 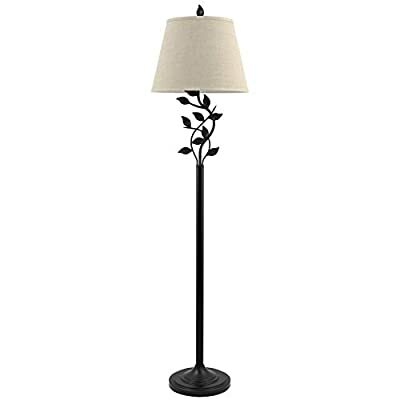 This lamp would bring an elegant touch to any living room, dining room, study, or bedroom.